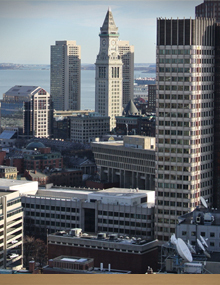 Karen Sweeney Shea is a member of the American Bar Association, Family Law Section; Massachusetts Bar Association, Family Law Section; and Boston Bar Association, Family Law Section. Attorney Shea graduated from Merrimack College (1986) and Boston College Law School (1990). She is a member of the bar of the Commonwealth of Massachusetts (1990); and has been admitted to practice before the United States District Court (D. Mass.). Attorney Shea served as an Assistant District Attorney for the Middlesex County District Attorney’s Office for several years prior to entering private practice. Since passing the bar, Karen has authored a number of articles in the field of family law. Karen has been a panel member in recent Massachusetts Continuing Legal Education Programs on Modification and Contempt actions. She has also lectured at colleges and law schools as well as at continuing legal education programs. Karen regularly participates in the Lawyer For the Day Projects in Middlesex County and Norfolk County. Attorney Shea has been designated a Super Lawyer since 2008 by Boston Magazine, and was also listed in The Top Women of Law in the April, 2014 Boston Magazine. Karen is married with four children. She is active in many community, school and church organizations.